The process of moving, whether residential or commercial, can prove quite tasking if not well managed and executed. Normally, it is easier to entrust moving companies with the task, especially when the process requires specialized equipment and handling. 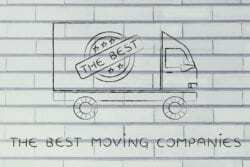 At Best Moving & Storage, we pride ourselves in being among the leading moving companies in Naples FL. We provide professional and commercial moving services throughout Southwest Florida, including areas like Naples, Bonita Springs, Marco Island, Sanibel, Fort Myers, and the surrounding communities. Unique customer service – Apart from designing our services with customers in mind, we tailor our services to each client’s unique needs. We understand that individual clients have unique needs. Subsequently, our professional employees work with the clients from the moment they make a request for our services until they are settled in the new location. Our customer care desk is always open and clients can make queries or adjustments to their schedules any moment without additional fees. Experience – We have been in service for the last 25 years. Throughout this period, we have made continuous learning and improving services to our overarching objectives. Whenever there are improved moving and storage equipment and techniques in the market, we pride ourselves in being the first to embrace them if they add value to our customers. We have served hundreds of businesses and individuals throughout Southwest Florida for the past two decades, many of whom are ready to vouch for our competence. Additionally, our teams are comprised of knowledgeable and well-trained experts equipped with the skills and capacity to execute both commercial and residential moves at all levels. Credibility – Best Moving & Storage is fully insured and licensed to safeguard all our customers from any liabilities that might arise during the moving process. We are members of the American Moving and Storage Association, as well as winners of the Allied Quality Award. We are also members of Florida Movers and Warehousemen’s Association, which is an association of the leading movers in Naples FL. At Best Moving & Storage, we consider our job as a sacred duty and make it our obligation to ensure that the customer receives satisfactory services of the highest standard. Whenever you might be in need of moving services in Naples FL, feel free to contact us at any time.